Bill Jackson was born on the East coast of the United States and moved to the San Francisco Bay Area in his early 20s. He was drawn to San Francisco’s accepting attitude and artistic community, and has lived in the Bay Area ever since. 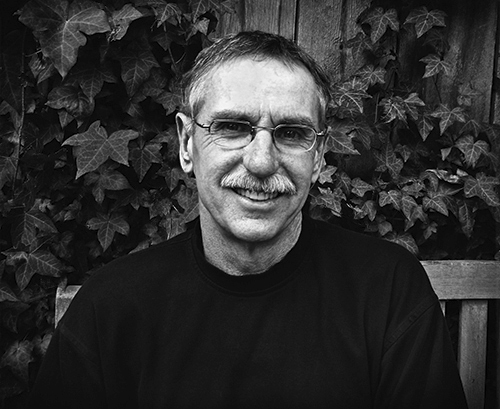 Bill has exhibited his work on both the West and East coasts of the United States. In the past six years he has had ten solo shows. His work has been in numerous juried exhibits and has received first place awards in many photography competitions. His work has appeared in Black & White magazine and three published books of photography. Bill is a member of Lightworks Ltd, an informal group of photographers that meet monthly to share and discuss their own and each other’s work. Bill Jackson thoroughly enjoys the process of creating images and sees a part of himself in each completed work. His current work is about mystery and emotion. People tell him his photography is like looking at dreams.